I wrote this article for travelers who want to stay in Pai for only two days and for those who choose spending time in Pai like I did. I have stayed in Pai for 5 days and I can say that I had good times in this little famous village in the valley in north Thailand. 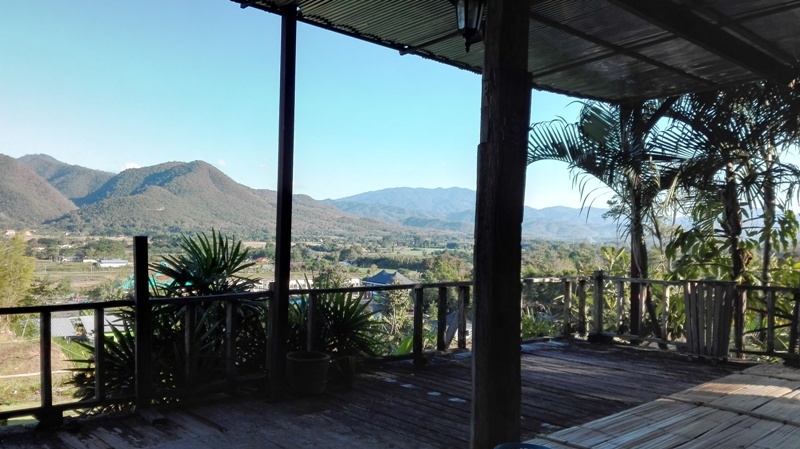 During first three days I enjoyed the Pai itself, the restaurants, party, people, and the beautiful view from my room at Tony Guesthouse. 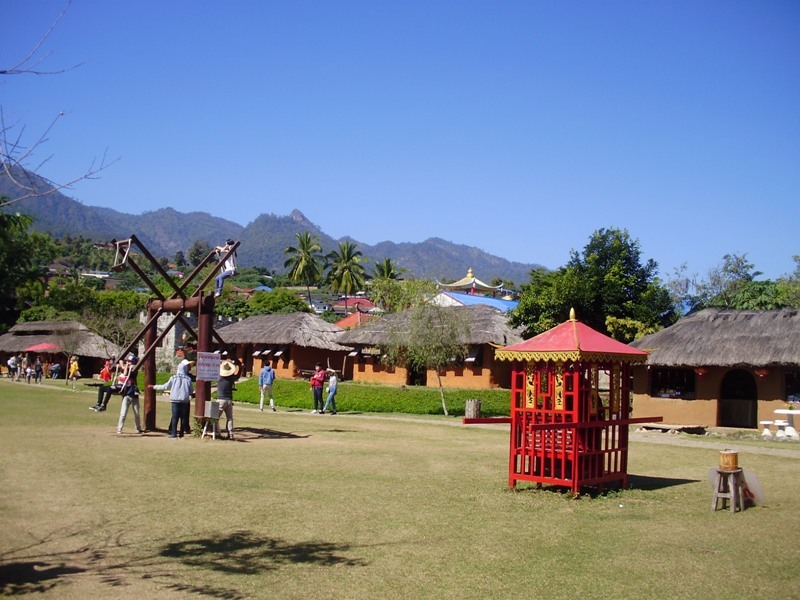 During the last two days I wanted to explore all the famous tourist attractions around Pai. 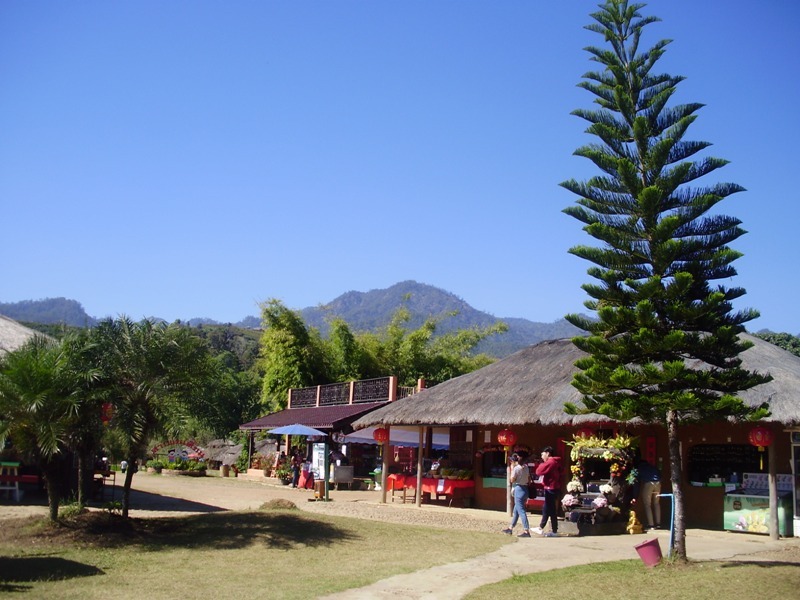 It really takes only two days and you can enjoy all the well-known and nice places you should visit in Pai. 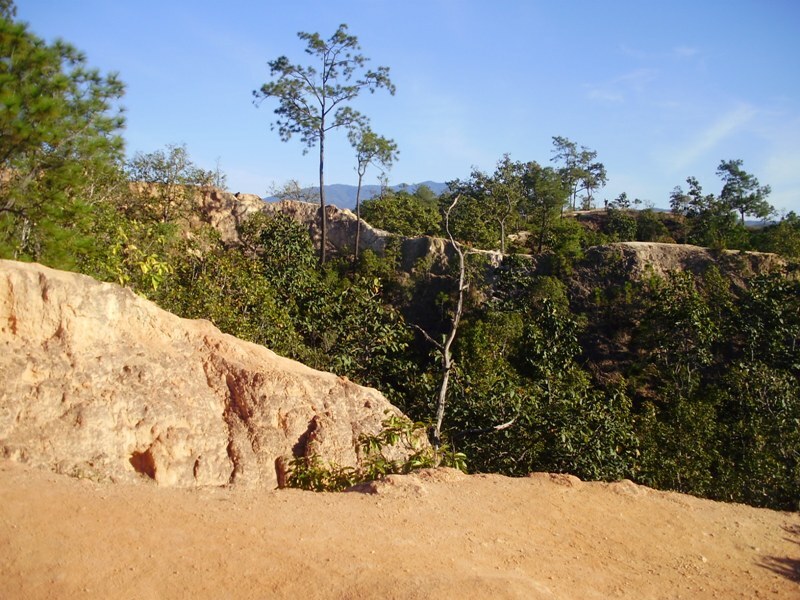 The way how you should explore Pai area is by motorbike. 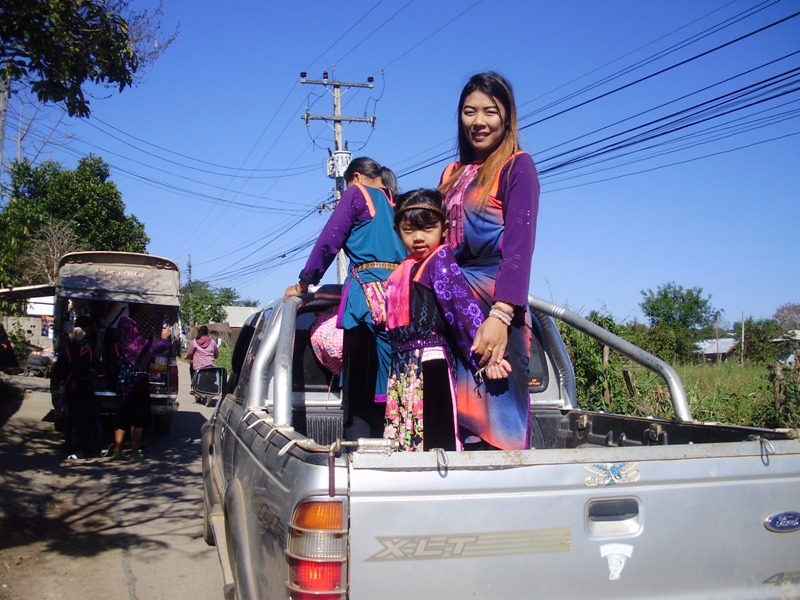 Hiring a motorbike is cheap and easy and driving around Pai is safe enough because there is almost no traffic on the roads. 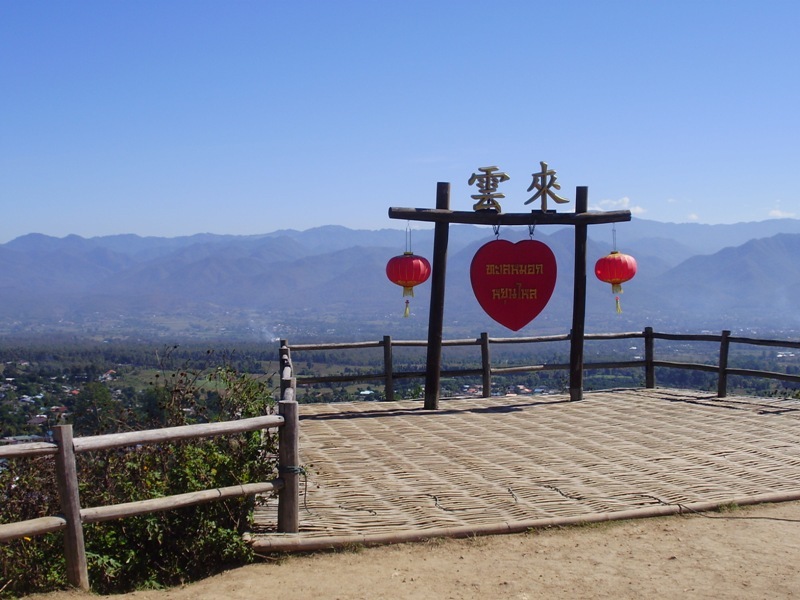 When I looked at the map, I realized that some of the tourist attractions in Pai are located in the south and the others in the north of the city. 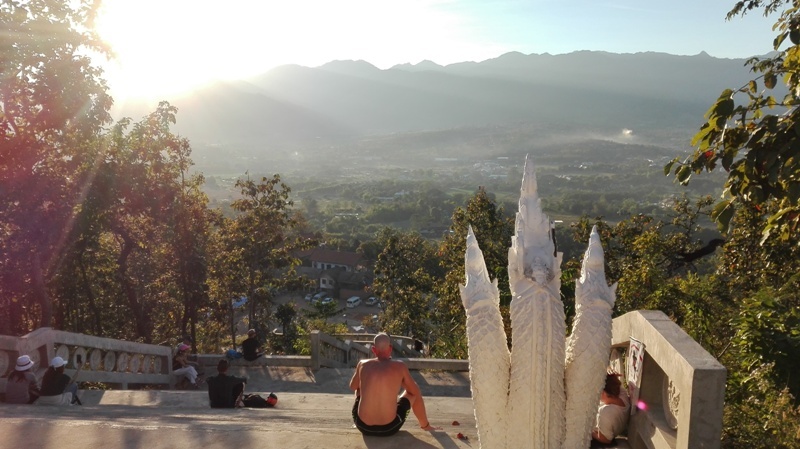 Most of the places you should visit in Pai are free of charge except Yun Lai Viewpoint 20 Baths and Sai Ngam Hotsprings 40 Bats. 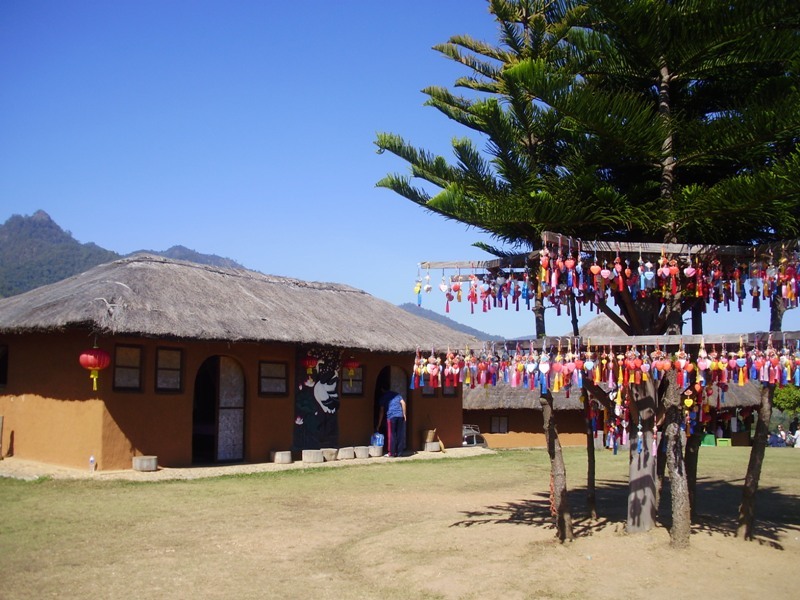 Pai is a funny place full of adventures. Enjoy it! 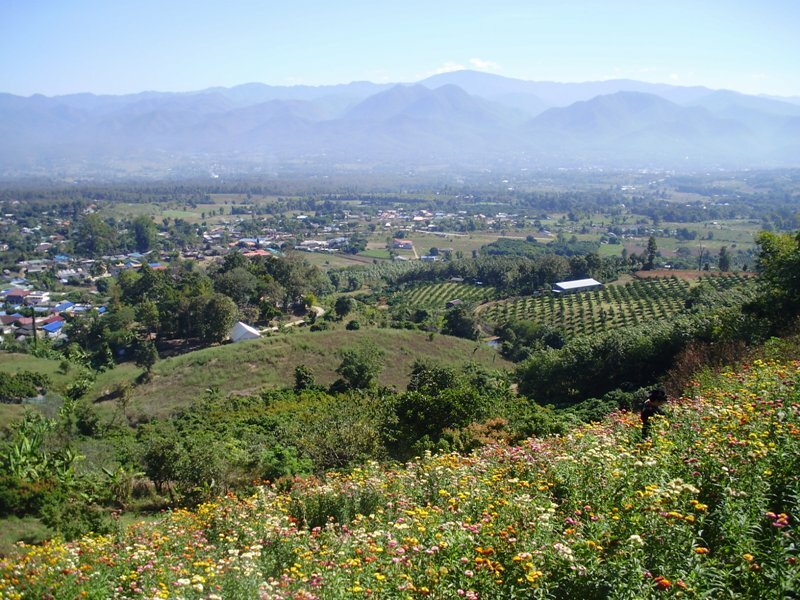 The first attraction what I visited in Pai was the famous Land Split. 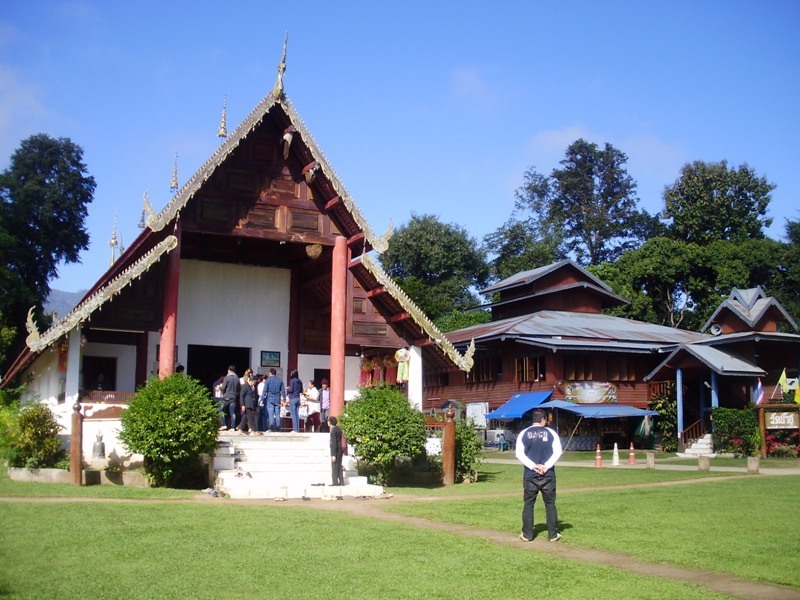 In 2008, earthquake, rain or flooding came without warning and the land cracked. 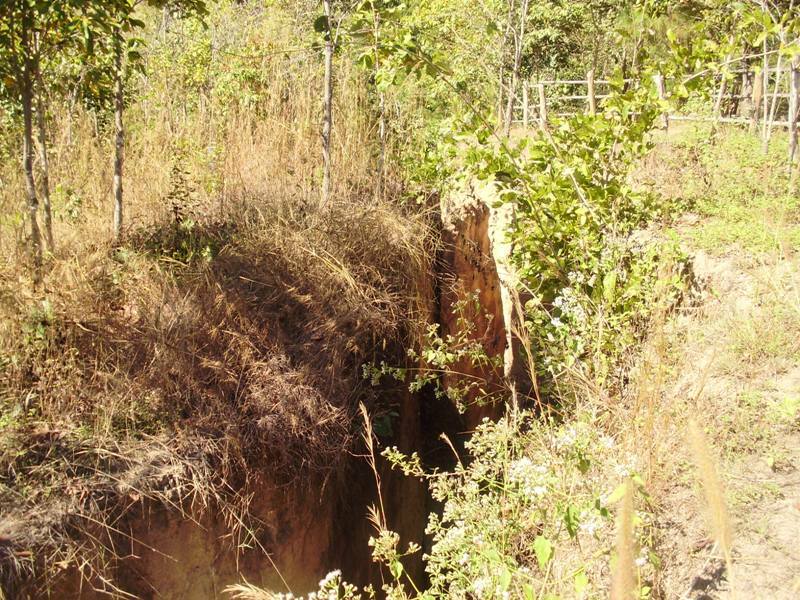 The farmer was shocked because the land had cracked 2 meters wide and 11 meters deep. It destroyed his crop and because he couldnt farm in the future also his income. 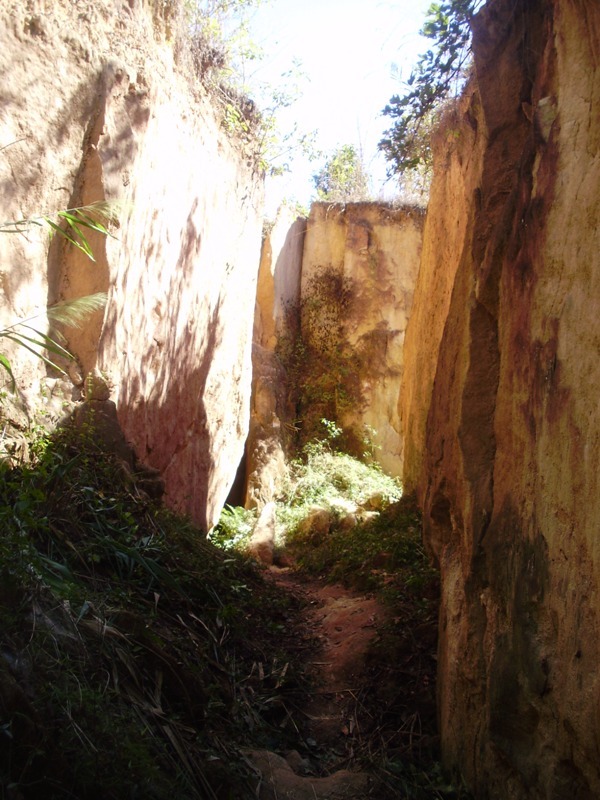 When I arrived, the owner of the land warmly welcomed me and showed me the direction of the trail. I looked Land Split closely. It took me only about ten minutes to walk around. 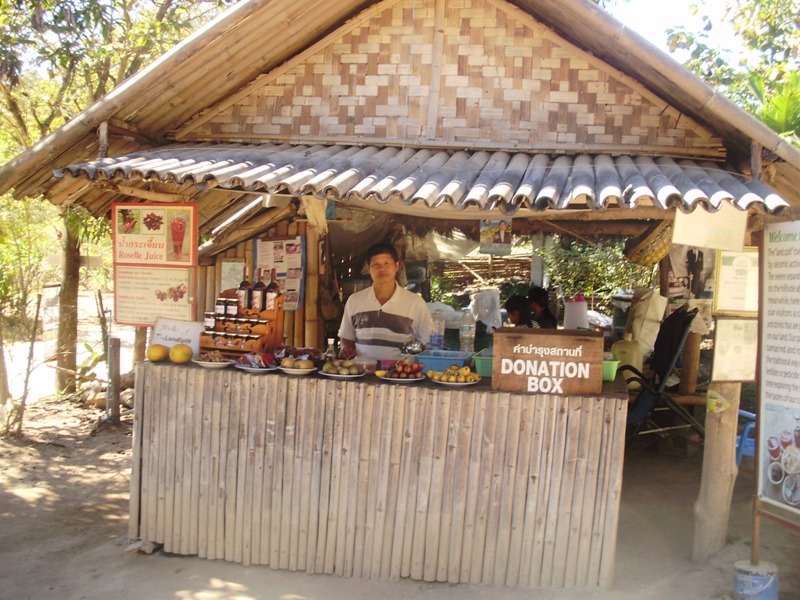 When I came back to entrance, the owner invited me to eat in the shade and brings me a food and drink. Everything I tried was really great, Most of all I loved the fresh homemade juice from rosella. You don’t have to pay any kind of entrance fee, but instead you should pay what you feel it is worth. The owner with his wife is genuinely lovely and we never felt pressured into giving more money! 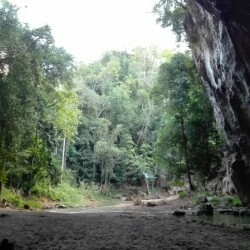 After I continued driving few kilometers and arrived to parking lot near entrance to Pam Bok Waterfall. 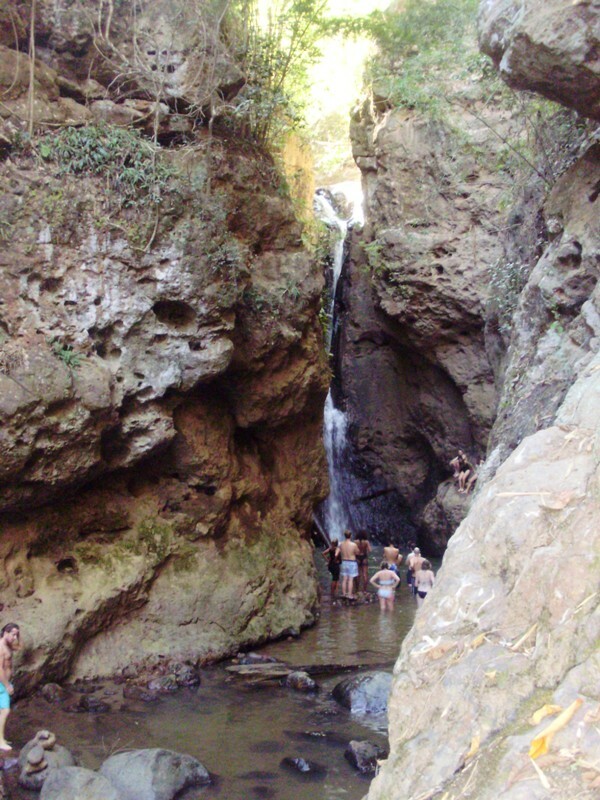 The walk to the falls is about 3 minutes and once you get there you can swim in the falls and even jump off the rocks into the deep water. As it is surrounded by large cliffs it still looks pretty amazing. There is another part of the waterfall with less people. 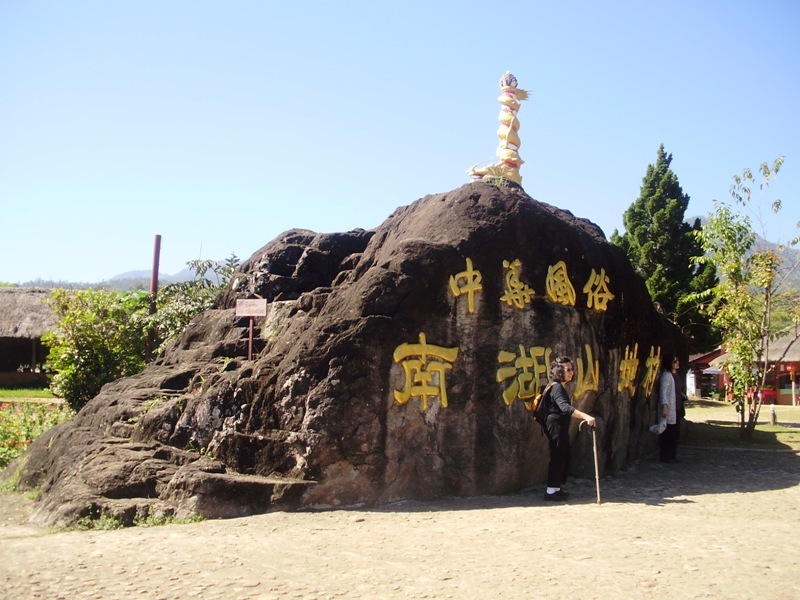 You need to walk up the hill, path is very slippery, so be careful. 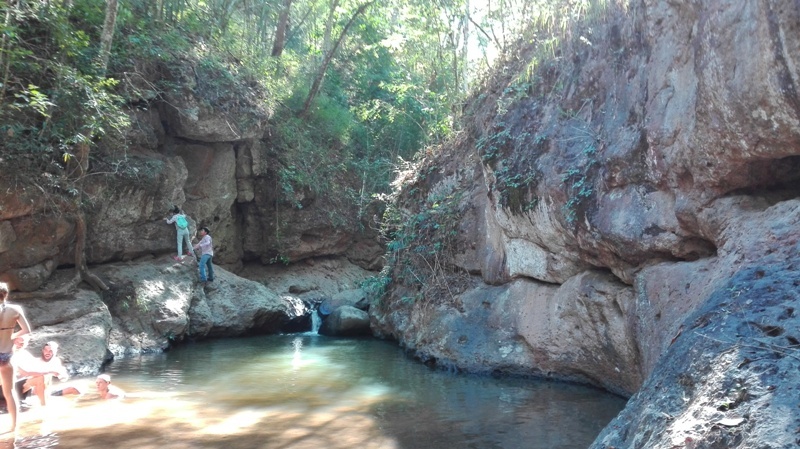 You will get to the small pool with small waterfall. I liked this upper part more the bottom of waterfall. 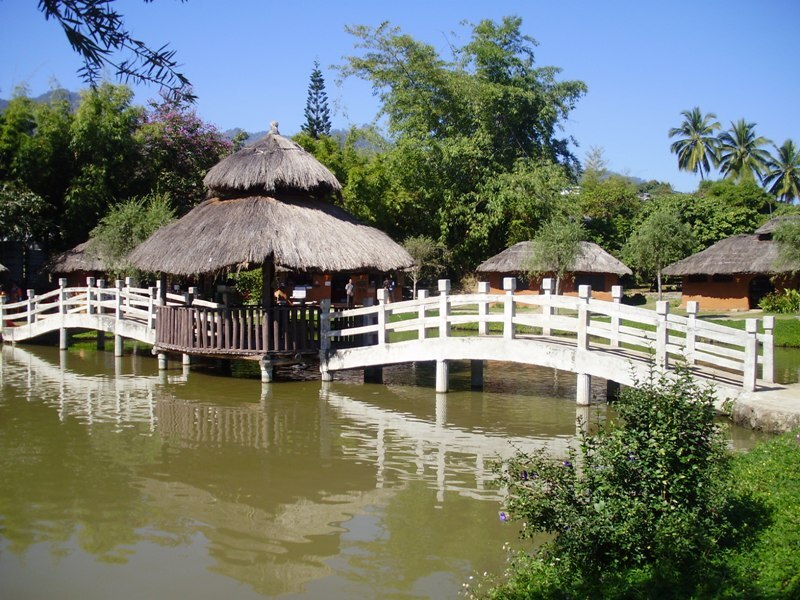 After visiting Pam Bok Waterfall, continue on the same route a few kilometers and get to the place which I really liked and enjoy – Bamboo bridge. 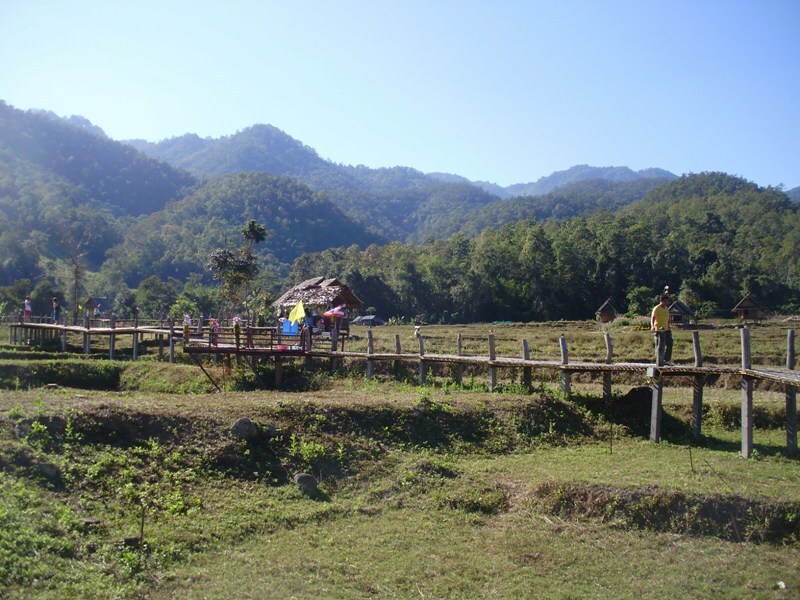 Local people built this bridge for monks from the temple to walk shorter distance to get food from the village of Bam Pambok. 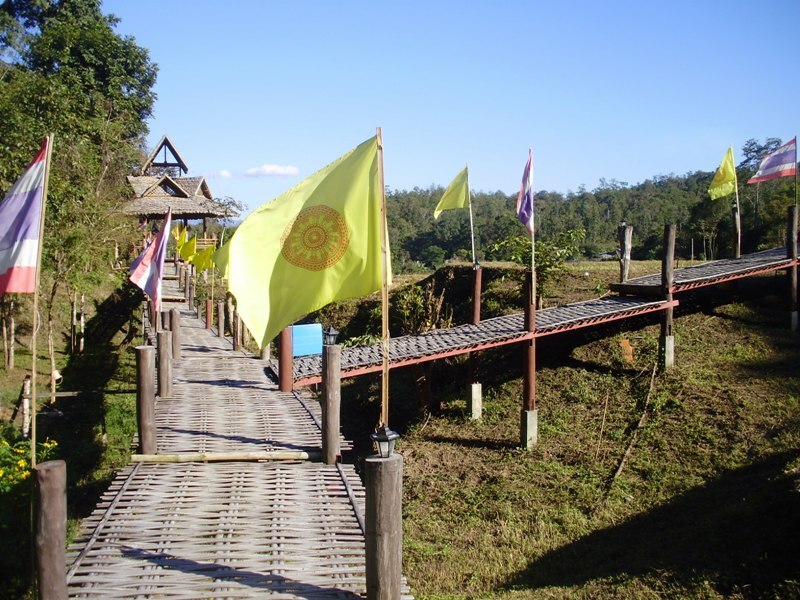 The bridge was built from the bamboo wood and is 815 meters long and 1 – 2 meters above the ground. 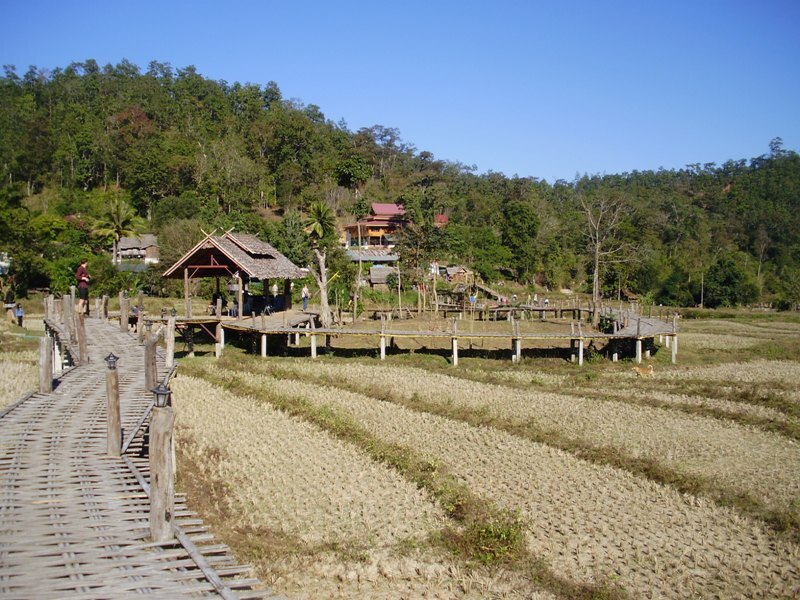 Walk is nice, because bridge is built on rice fields surrounded by mountains. I walked across the bridge to the end where the small temple is located. For me all this place was magical and I felt great while here. 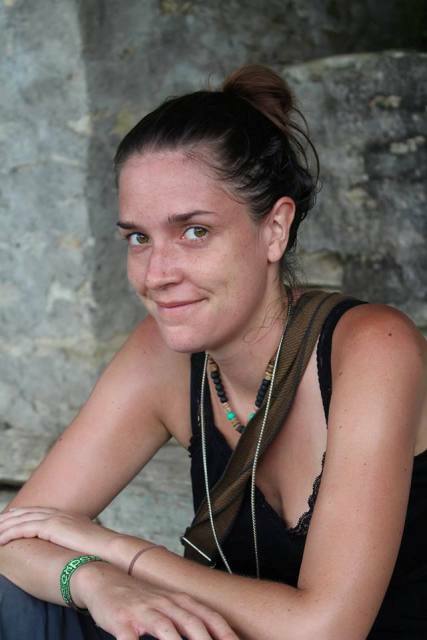 The last popular place I wanted to visit this day was Pai Canyon and watched a sunset. 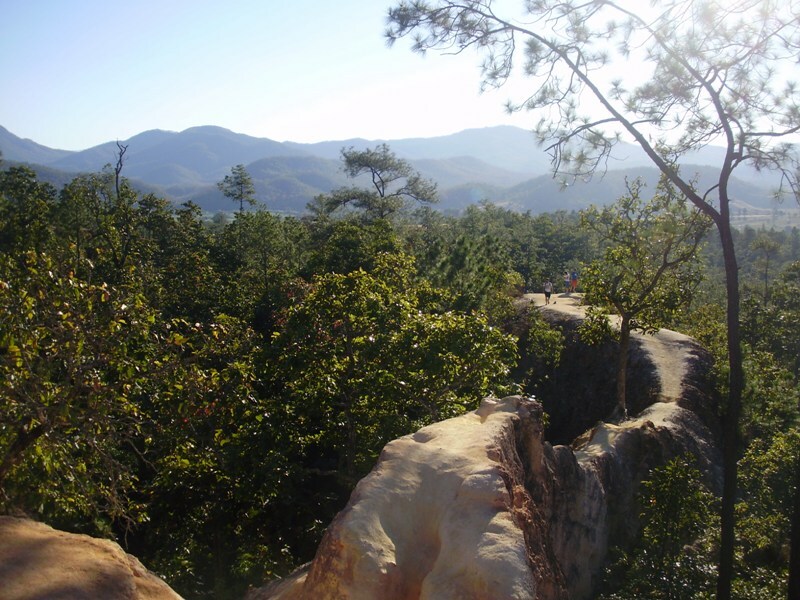 Pai Canyon can be described as narrow red ridges with steep-sided valleys with beautiful views. 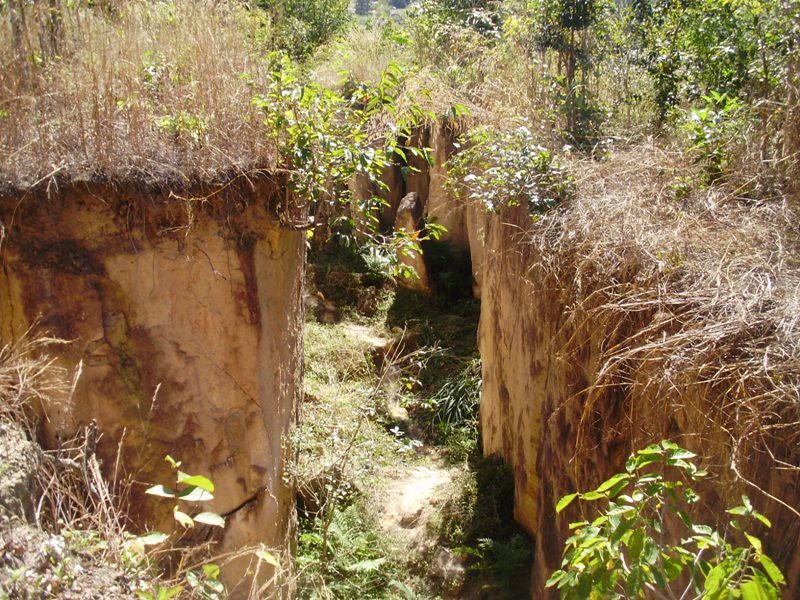 Pai Canyon is a funny place, but be careful because of the narrow walkways cut on the ridges and in some spots there are deep cliffs on either side without anything to hold on. 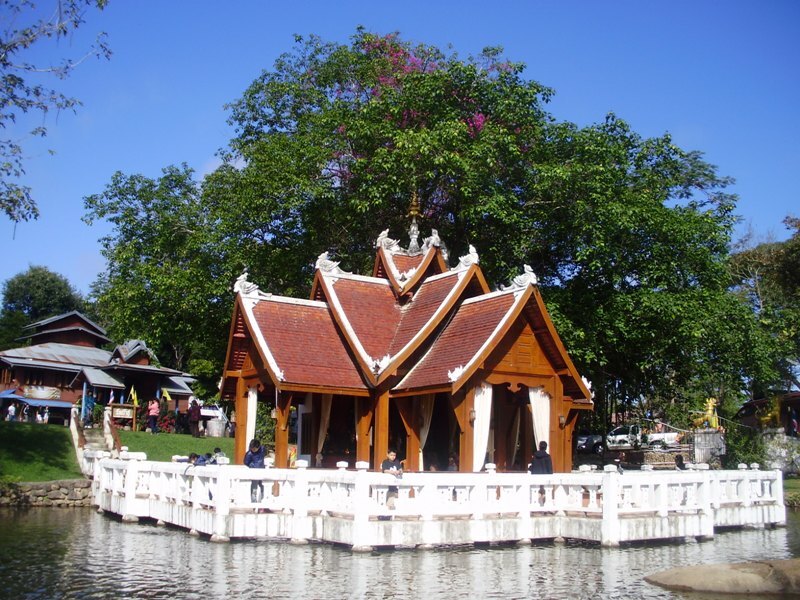 In the morning on the way to Yun Lai Viewpoint you can stop by Wat Nam Hu Temple. 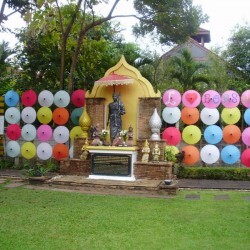 It’s a nice little temple and it’s worthwhile to get out of the bike for a few minutes and look at it. 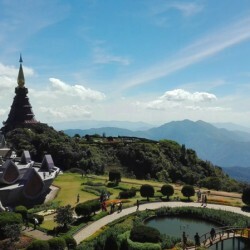 This is really a beautiful and quite place. 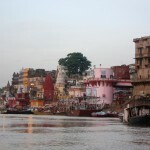 I visited it in the morning and there were only a few tourists, so I really enjoyed it. I paid 20baht to get in. 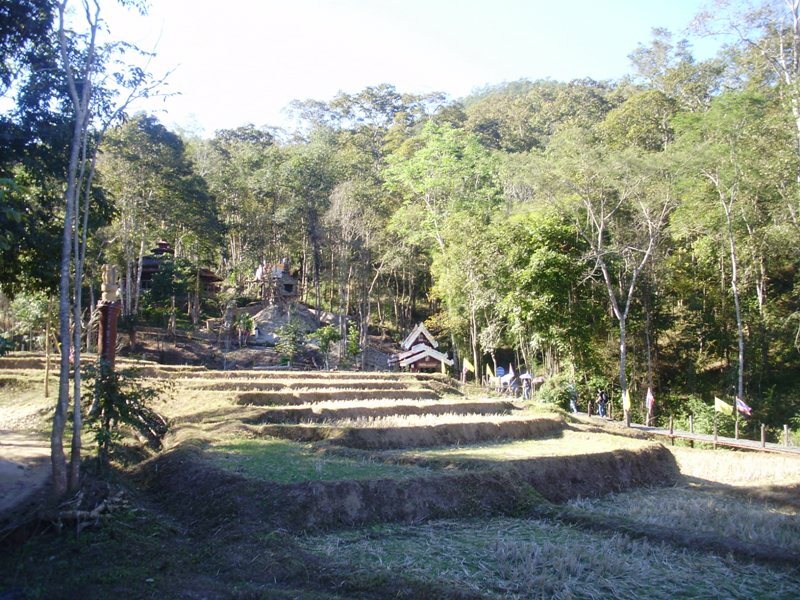 The area is well maintained and the view of the valley is wonderful. 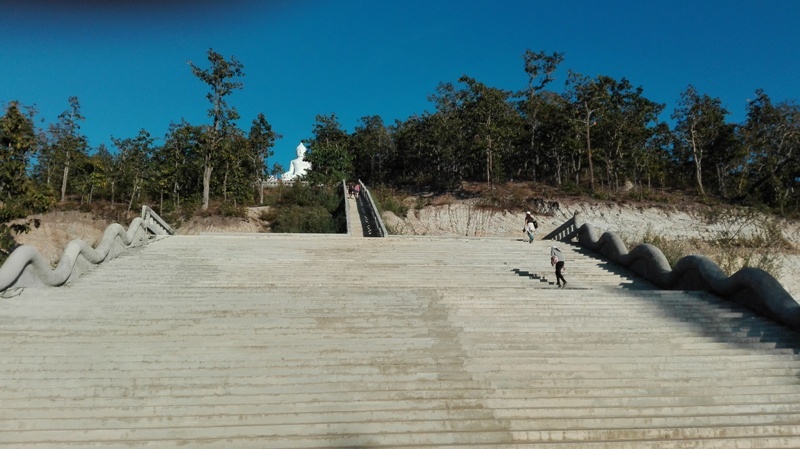 On the way up, be careful, the last part is very steep, and on the top I felt that I am going to crash. 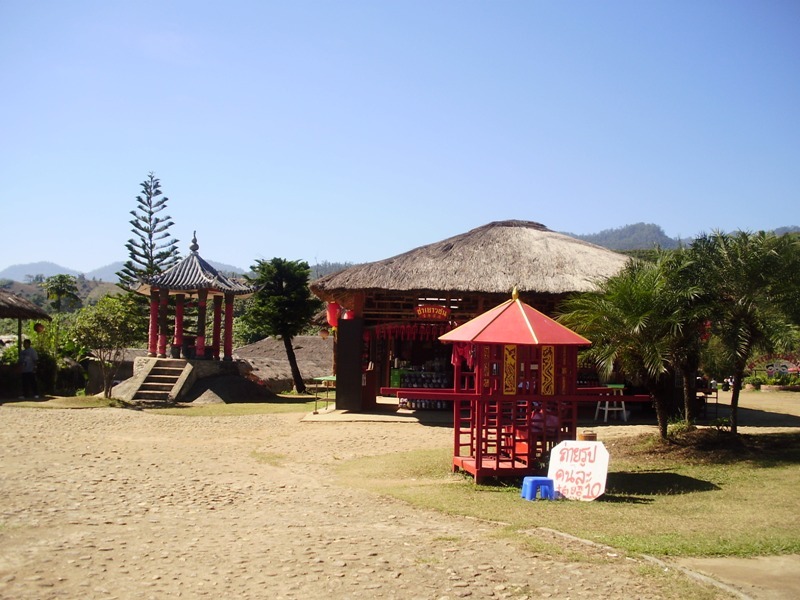 The next spot on my motorbike tour is Santichon Chinese village close to Yun Lai Viewpoint. It was ok place to stop on the way to Yun Lai Viewpoint and have a look around, but the whole place had been spruced up commercially for tourist. At least buy some good quality Chinese teas. 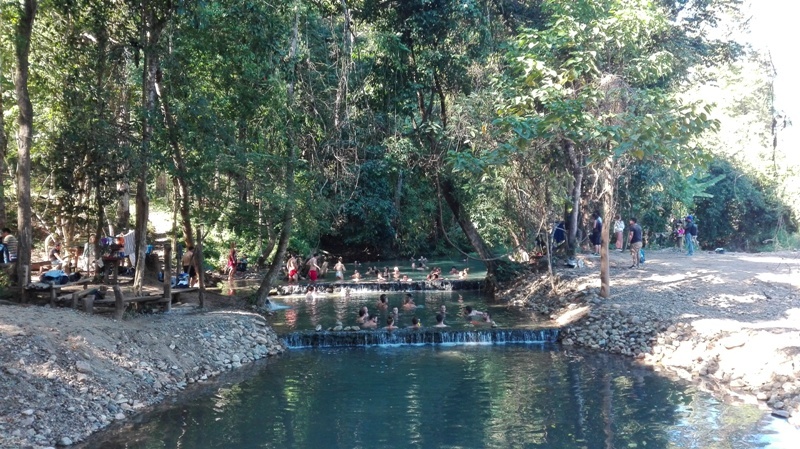 At noon, when it was getting warm, I arrive to Mo Paeng Waterfall, where you can cool yourself during the hot day. I recommend you to see whole waterfall, from top to bottom, because the individual parts of the waterfall with huge rocks are very nice. 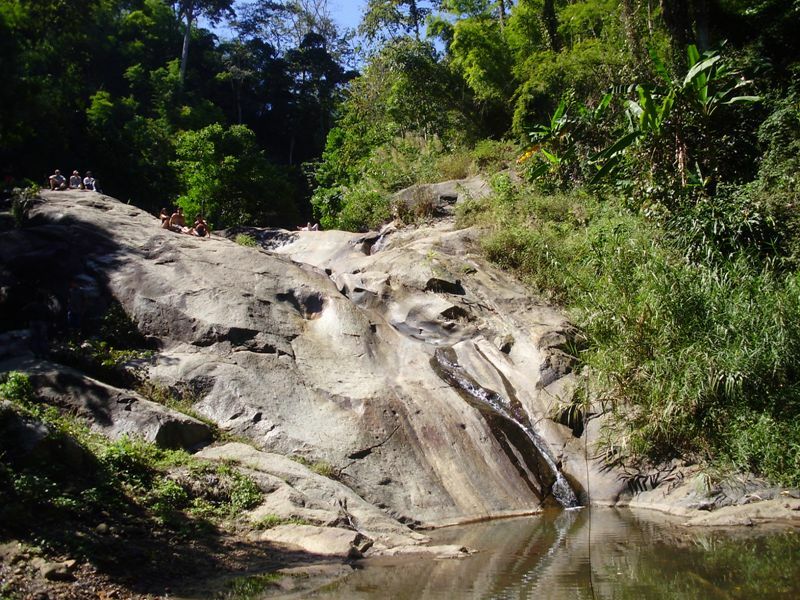 The waterfall empties into a flat pool with a shallow end, safe even for children to play in the water. You can even go sliding in the waterfall if you are brave enough. 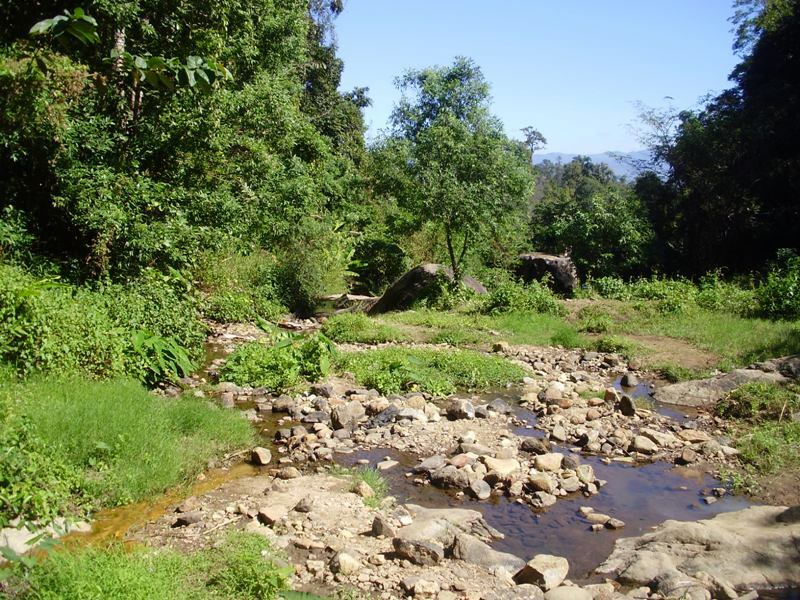 The Sai Ngam Hot Spring also known as the Secret Hot Spring are surrounded by a jungly forest is completely natural. Clear water has 34°C. 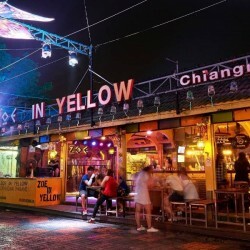 I recommend to come here becuse i tis very chill experience. 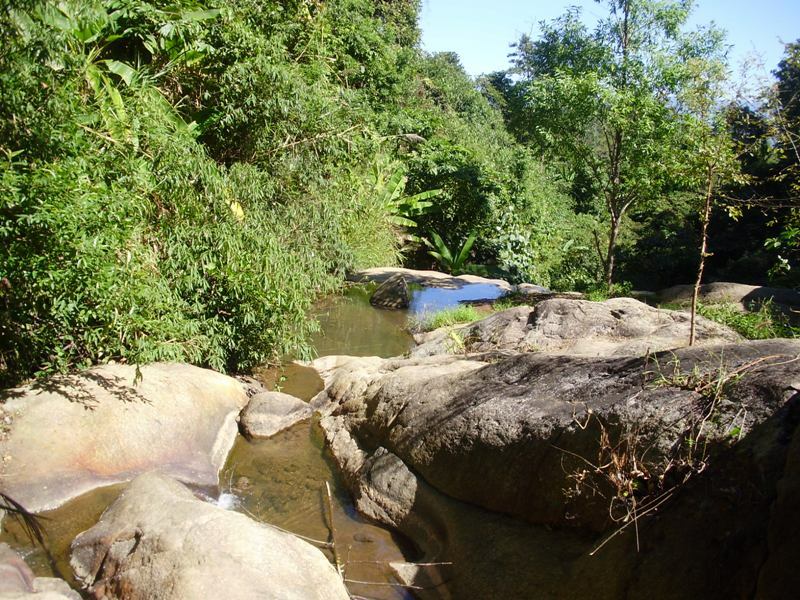 The distance between Mo Paeng Waterfall to Sai Ngam hotsprings is 15km, the first part of way leads through the rice fields and small villages. 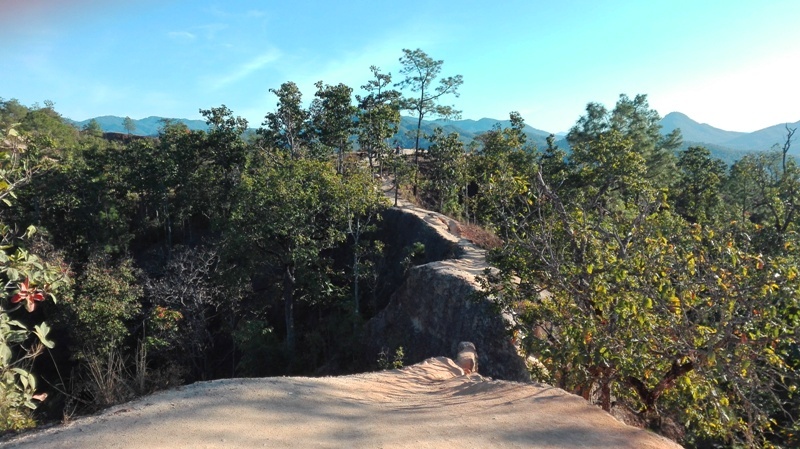 Then you will get to the main road leading to Mae Hong Son. When you see turning to the hot springs on the right side be prepared that forestry commission will stop you and ask for 20 bahts entry fee plus 20 baht for your scooter. From here, it is 2.5 km driving on the very hilly and steep road. 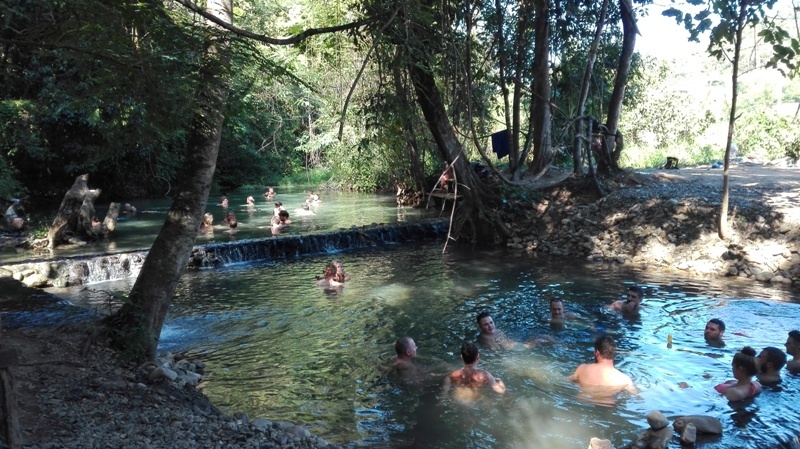 But when you come to Sai Ngam hotsprings, you will realize that the journey was worth it. 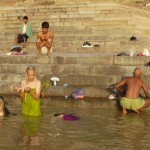 The Sai Ngam Hot Spring, also known as the Secret Hot Spring. They are surrounded by a jungle forest. Clear water has 34°C. 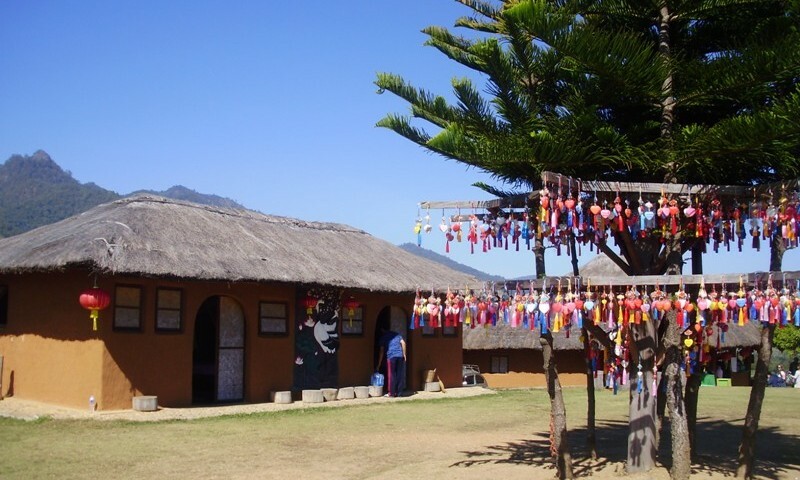 I recommend you come here and enjoy, because it is very cool experience. 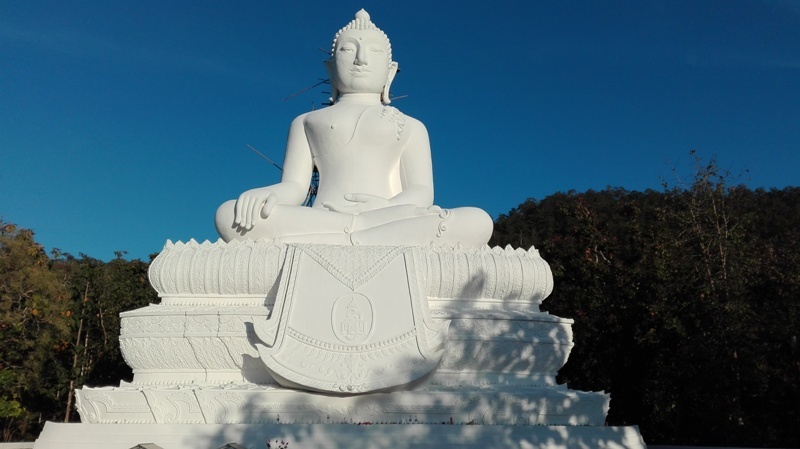 At Sai Ngam hot springs I stayed for about an hour and I after came back to Pai, I ate and around the 5pm I went to White Buddha or Temple on the hill to watch the sunset. 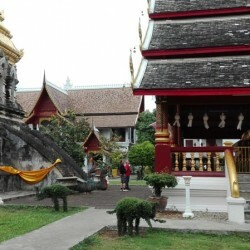 The temple complex includes two buildings as well as a few golden pagodas. To get to the top I needed to climb 353 steps, but the view of Pai Valley is beautifull. You will not regret it. 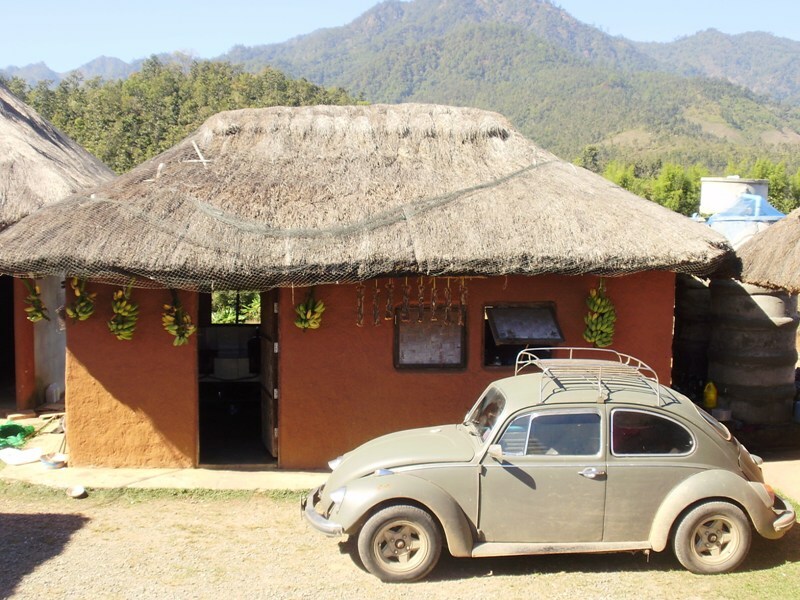 I hope that this article will help you create a great plan and you will experience funny moments during exploring Pai and the attractions that are located in its surrounding.